MozCon is just around the corner, meaning it’s time to share one of our absolute favorite posts of the year: the semi-official MozCon Guide to Seattle! For those of you following the yellow brick road of I-5 into the heart of the Emerald City to spend three days absorbing all the SEO insight you can hold, this should help you plan both how you spend your time at the conference and outside of it. For those watching on the sidelines, scroll along and you’ll find a treasure trove of fun Seattle ideas and resources for future cons or trips you might make to this fair city by the sea. We’re now over 99% sold out, so act fast if you’ve got your heart set on MozCon 2018! We know you’re here for a conference, but that’s only part of your day. After you’ve stuffed every inch of space in your brain with cutting-edge SEO insights, you’re going to want to give yourself a break — and that’s exactly why we’ve put together an assortment of events, activities, suggestions, and Seattle insider pro tips for how to fill your time outside of MozCon. With day one behind you, we’re guessing you’ll be some mix of energized, inspired, and ready to relax just a bit. Celebrate the first day of MozCon at our Monday night kickoff party with a night of networking, custom cocktails, and good music at beautiful Block 41 in Belltown. Meet with fellow marketers and the Mozzers that keep your SEO software shiny while you unwind after your first full day of conferencing. It’s our privilege and delight to bring our community together on this special night. There ain’t no party like a MozCon party! 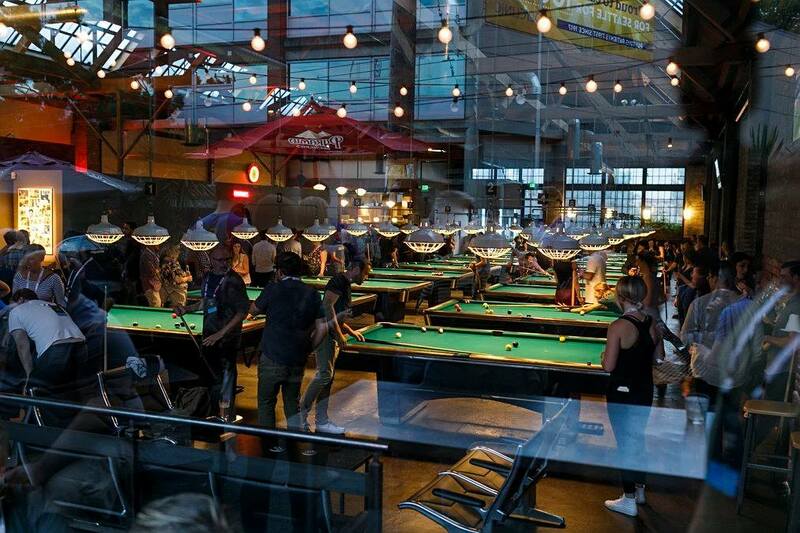 We invite all MozCon attendees and Mozzers to join us on Wednesday night at the Garage Billiards in Seattle’s Capitol Hill neighborhood. 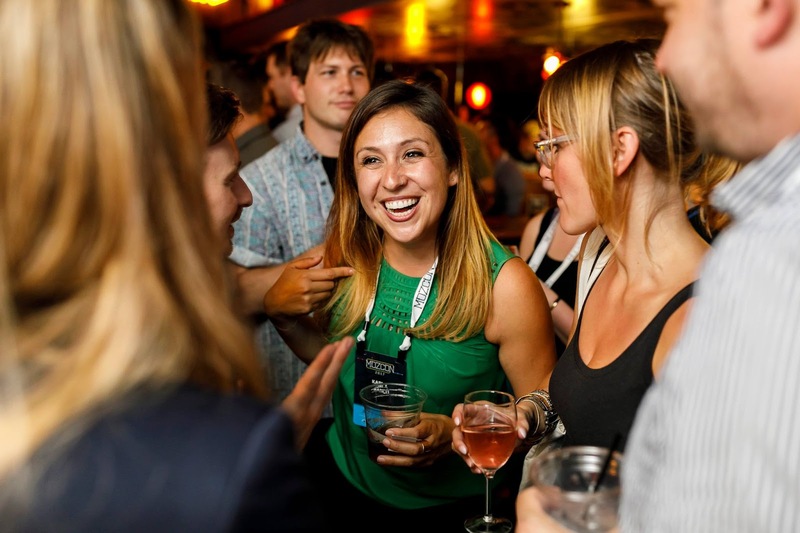 From karaoke to photobooth, from billiards to shuffleboard, and peppered liberally with snacks and libations, the Wednesday Night MozCon Bash is designed to celebrate the completion of three days of jam-packed learning. This is the industry party of the year — you won’t want to miss it! In between bites of the most delicious lunch you’ll find in the conference circuit, you’ll have the opportunity to connect with your fellow community members around the professional topics that matter most to you. Each day there will be seven-plus tables with different topics and facilitators; find one with a sign noting the topic and join the conversation to share advice, learn new tips and tricks, and discover new friends with similar interests. MozCon is literally brimming with things to do and ways to support our attendees when they need it. 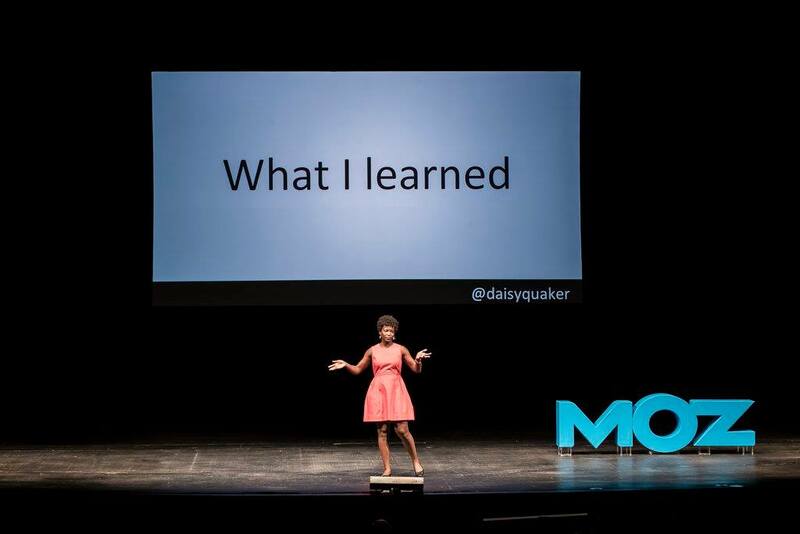 Aside from our hosted events and three days’ worth of talks, we’ve got things to fill in the cracks and make sure your MozCon experience is everything you’ve ever wanted from a conference. Photobooth with Roger: Admit it — you see that cute, googly-eyed robot face and you just want to hug it forever. 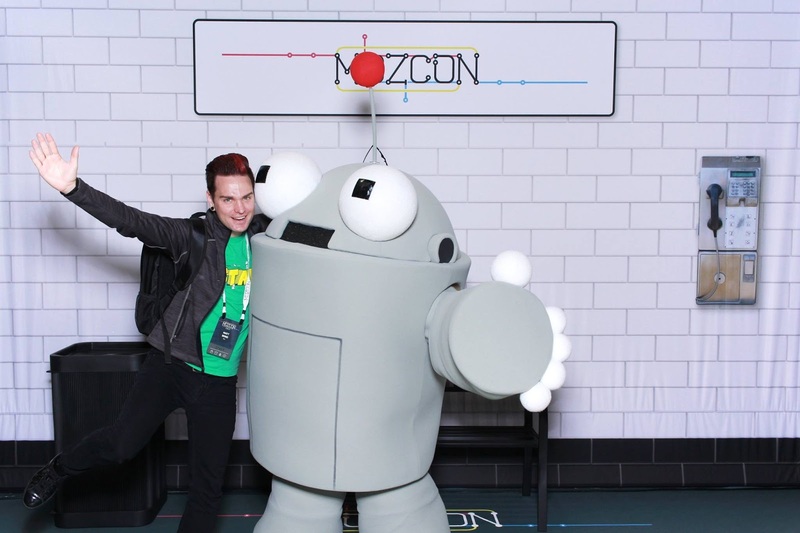 At MozCon, you can do just that — and memorialize the moment with a picture at the photobooth! Roger’s a busy bot, but his photobooth schedule will be posted so you can plan your hugs accordingly. Ping pong play sesh: Don your sweat bands and knee-high socks and keep your paddle arm limber! During breaks, we’ll have ping pong tables available to burn some excess energy and invite a little casual competition. The world map of MozCon: Ever play pin the tail on the donkey? Well, this is sort of like that, but the donkey is a world map and (thankfully) there’s no blindfold. You’ll place a pin from wherever in the world you traveled from. It’s amazing to see how far some folks come for the conference! Local snacks galore: Starbucks, Piroshky Piroshky, Ellenos Yogurt, and Top Pot Donuts will happily make themselves acquainted with your tastebuds! Carefully chosen from local Seattle businesses, our snacks will definitely please your local taste pallet and, if past feedback is to be believed, possibly tempt you to move here. Stay charged: Pining for power? Panicking at that battery level of 15% at 10am? Find our charging sofas to fuel up your mobile device. We want marketers of all stripes to feel comfortable and supported at our conference. Being “for everyone” means we’re working hard to make MozCon more accessible in many different ways. The Washington State Convention Center is fully ADA compliant, as are our other networking event venues. But it’s important for us to get even better, and we welcome your feedback and ideas. Bespoke city exploration — Get to know Seattle! In years past, Tuesday nights were reserved for our MozCon Ignite event, where brave folks from myriad backgrounds would share stories in lighting-fast Ignite-style talks of five minutes each — the only rule being it can’t be about marketing! While MozCon Ignite has always been a much-loved and highly anticipated event, we’ve also listened closely to your feedback about wanting more time to network on your own, plan client dinners, go on outings with your team, and in general just catch your breath — without missing a thing. That’s why this year, we’re folding Ignite into the official MozCon schedule so everyone can benefit from the tales shared and enjoy a fun five-minute break between SEO talks. We’re opening up Tuesday night as your chance to explore the Emerald City. We’ll have a travel team onsite at the conference on Tuesday to help you and your friends plan an exciting Seattle adventure. Perhaps you’ve met a fantastic group of like-minded folks at a Birds of a Feather lunch table and would love to talk featured snippets over fresh fish n’ chips at the Pike Place Market. Maybe you’ve always wanted to catch the view at the top of the Space Needle (recently renovated and reopened to provide even better views!). Or perhaps a quiet sunset picnic overlooking the water at Gasworks Park seems like the perfect way to relax after a long day of learning and networking. Regardless of whatever floats your boat, we encourage you to plan local meetups, invite your newfound and long-standing friends, and forge a few irreplaceable Seattle memories. Wondering what there is to do, drink, eat, and see in Seattle? Well, who better to ask than us Seattleites? Using tons of real suggestions from real Mozzers, we’ve put together a Google Map you can use to guide your exploration outside the confines of the event venue — check it out below! Seattle’s got more to offer than we can name — get out there and discover the renowned Emerald City quirks and quaintness we’re famous for! Seattle’s got a pretty solid transit system that can get you where you need to go, whether you’re traveling by bus or train. The city also has its share of rideshare services, as well as taxis, bikes, ferries, and water taxis, depending on where you’re headed. Bikeshare programs: As you wander the city, you may notice brightly colored bicycles patiently awaiting riders on the sidewalks. That rider could be you! If you’re feeling athletic, take advantage of the city’s bikeshare programs and see Seattle on two wheels. 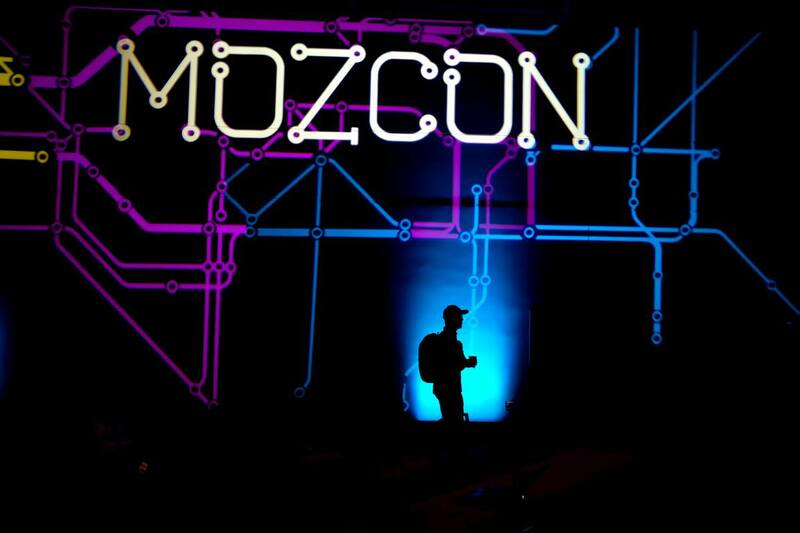 Are you ready to rock MozCon?! If you’re already MozCon-bound come this July, make sure to join our Facebook group and download the app (must be on mobile) to maximize your networking opportunities, get to know fellow attendees, and stay up-to-date on conference news and activities. To download our MozCon 2018 app, head to the Google Play or iTunes store. Download the Bizzabo app and verify your registration with the email you signed up with for MozCon. Once you’ve verified registration via your mobile browser, you’ll be ready and rarin’ to go! And whether you’re going to be large, in charge, and live at the conference or just following along at home and eagerly waiting the video release, follow along with the #MozCon hashtag on Twitter to indulge in the juicy tidbits and takeaways attendees will undoubtedly share. This entry was posted in Local SEO and tagged #MozCon, 2018, Like, Marketing, ROCK, Superhero by jeffriseo. Bookmark the permalink.